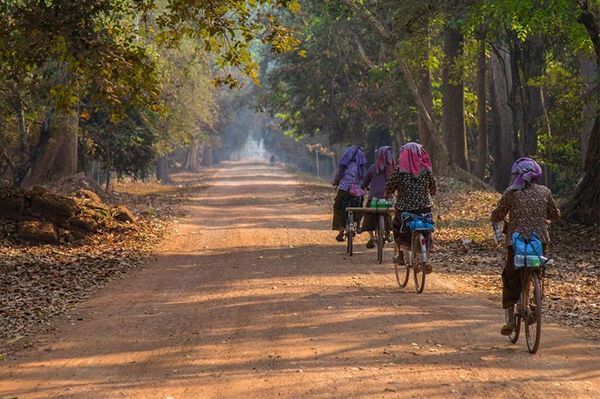 This major temple riding and experiencing a night sleep at a local village designed for visitors who wish to encounter Cambodian insight beyond the temple visiting.This relaxing bicycle path allows you to get deeper looks into the long period of the Khmer empire and the recent Khmer cultures. 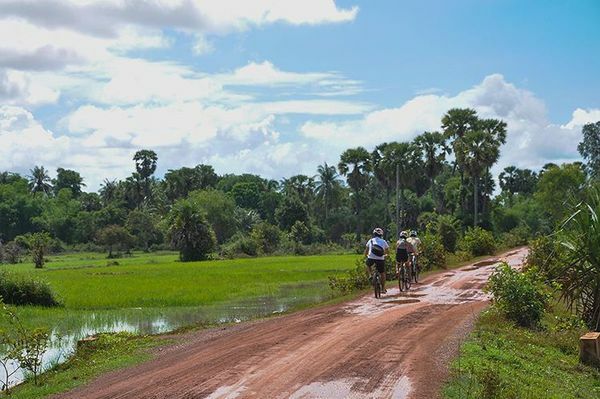 Take a relaxing bicycle path to visit the magnificent temples of Angkor and experience a night sleep with Siem Reap local family! Angkor wat: First day, visitor will begin trip with an easy-paced 20-minute cycle through the quiet jungle to reach Angkor Wat. This is a route that many do not take, so you can be assured of a peaceful and relaxing ride away from the crowds. 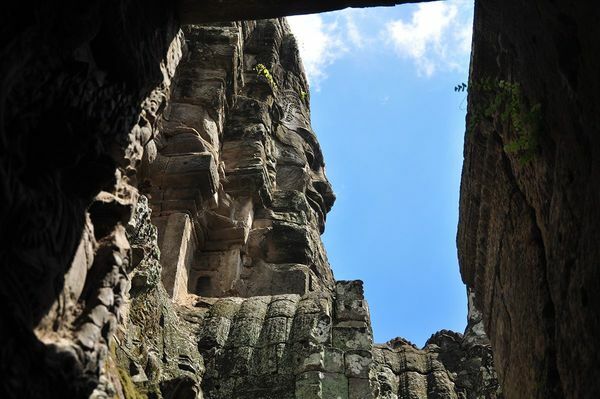 Bayon Temple: Next stop is Bayon temple, another major complex built by King Jayavarman VII. Visitors will be charmed by the enigmatic smiling face-towers as our tour guide will tells you more about the history and construction of this unique ancient city. Lunch at local restaurant: Visitors will be led to a local restaurant where you will take a simple Khmer local cuisine! There are plenty of food for selections; feel free to pick up your favorite Asian food! Local dinner, Local homestay: By now, it will be time to wind down. Visitors will head to a local homestay. Once you have settled in, you are more than welcome to join a local cooking class as they pick out vegetables and local delights. 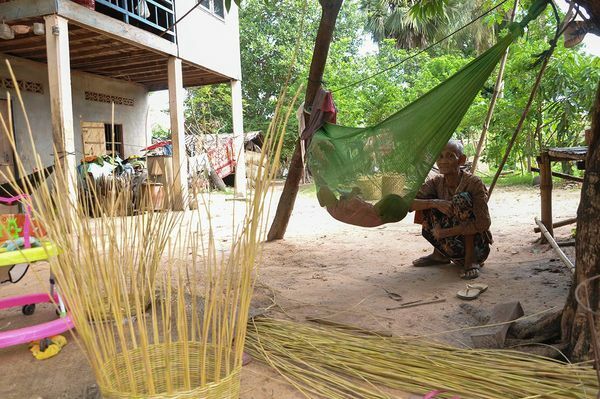 Back at the homestay, you will be able to enjoy a dancing and eat a truly local Cambodian meal! We will end the night early, between 8.00PM—9.00PM, just as the village goes quiet. - After a good night’s rest, we begin Day 2 of our tour with a light breakfast. Rice wine: After a nice morning fresh, visitors will bicycle to a local rice wine distillery. Here, you will learn more about the processes involved in the making of rice wine as well as its use in holistic medicine. And yes—if you wonder—you can also get to sample a taste! Buddhist Temple: Next up, take in the morning breeze and enjoy the peace and stillness of the recent Khmer pagoda which holds a greet religious state and cultural significance to many local Cambodians. Local Market: Lastly, visitors will be at a bustling local market where you will be able to take in the sights and sounds of locals buying and selling their products. Discover local delicacies and daily foods not found anywhere else in the world! We end the ride at our office at 10:30-11:00 AM. Wear clothes that cover your shoulders and knees but comfortable for cycling.